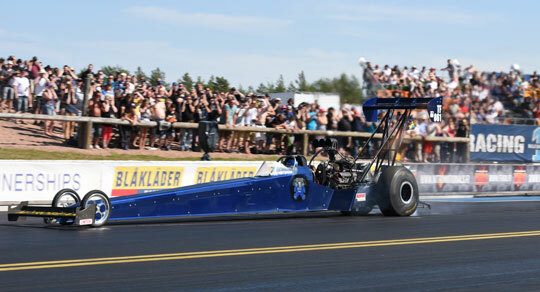 After licencing in 2014, Björn Mårtensson made his official Top Fuel debut in 2015 with three races in the FIA European Championship. 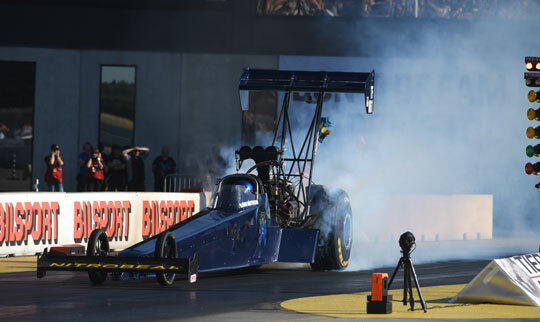 This year, the Top Fuel driver and his Nitrobear team are stepping up their operation, and with five races, including Santa Pod, they want to do an almost full championship tour. “There’s nothing as cool as racing a Top Fueler! We learned so much last year with the tuning but also working together as a team. This season we want to go faster, but also keep the car in one piece,” said Mårtensson, already looking forward to the start of the season. “We made so many changes to the car last winter. We had the heaviest car in the field, so weight reduction was number one priority. We fitted a smaller fuel tank and made some other adjustments. We also updated all kind of things. The team found many small things to make it easier to work on the car between rounds. 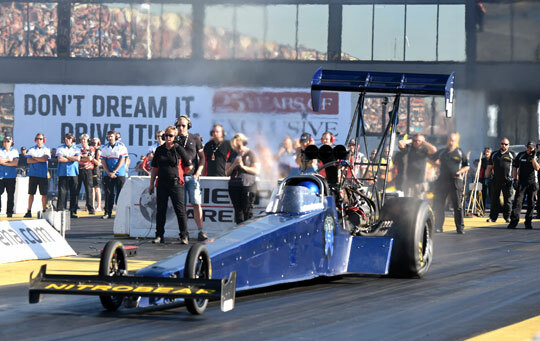 Last year we started with three races, but we hope to attend five events this year, starting with the Main Event at Santa Pod,” said Björn Mårtensson. Mårtensson is 46 years old, lives in Huddinge, Stockholm, only an hour away from Tierp Arena, and runs his own business as an electrician with a handful of employees. “It all started in street racing before I stepped up to drag racing. 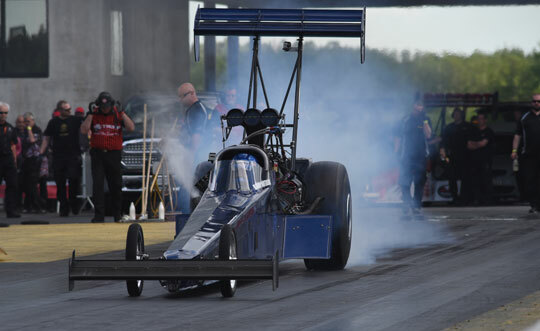 I’ve been in the sport for about twenty years now, mostly running in Pro Street, but I also had a Nitro Altered and was a mechanic in the Nitro King Knut Söderqvist Top Fuel operation. I had the Top Fueler in my garage for a few years, before I made my first licence runs in 2014. My first official Top Fuel race was the 2015 Tierp Internationals. Although I won many races in Pro Street, I’m most proud of the fact that we came to Tierp without any sponsor stickers on the car, with a ‘brand new team’, still had to learn almost everything, had to find our way, and with a rookie tuner ‘learning by doing’. And we succeeded, we got the car down the track! That was a great moment! After one of the rounds we were the last car to come back into the pits, but we were the third car to warm up the engine for the next run!” said Mårtensson, still proud of his Nitrobear team. But Top Fuel is also a challenging class! “It’s expensive and Top Fuelers are difficult to tune. 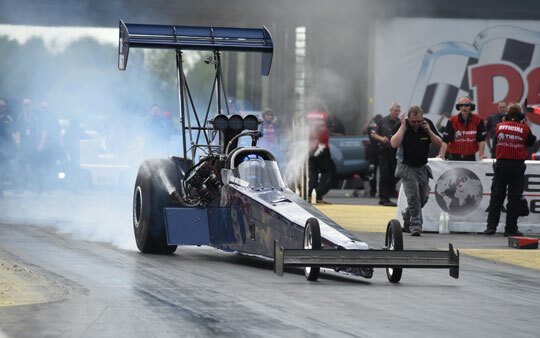 The FIA class is filled with experienced and very skilled Top Fuel teams and we’re still learning. We didn’t qualify at all events, and we didn’t run quicker than 4.2 seconds, but we made around 15 passes so far and not even one single oildown! At Tierp we had a little fireball when a cylinder leaned out and burned both chutes, but no oildown! That’s a great achievement! Of course we want to qualify for race day, but we do it step by step and try to find a way to tune it a bit faster every time, instead of chasing low ETs, going in full kill mode and blowing engines. In 2016 we will do the same and we will try to get the car to the finish line in one piece and qualify for every race. At the end of the year a 4.1 seconds personal best should be possible!” said Mårtensson. Mårtensson can’t say too much about sponsorship: “That is still on the table, so I can’t really say anything right now, except that ‘OMNI DEAL AB’ will be on the car in 2016. These great guys are helping us to finance the season!” Mårtensson doesn’t have a favorite racetrack so far. “Tierp Arena is clearly a super good track, just one hour away from our garage. I love it. But all tracks have their charm. Santa Pod is a good track and has awesome fans! Finland has some traction issues, but it’s so nice to be there as well! We love having fans visiting our pits, have a chat and ask their questions. Please keep doing that! 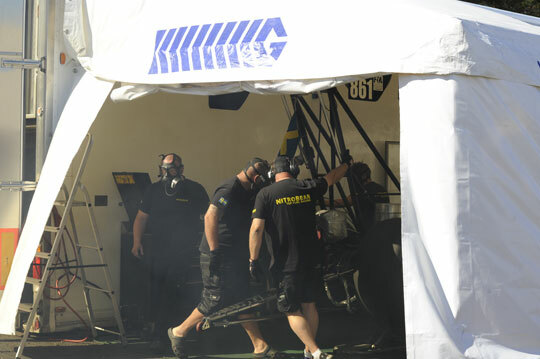 You’re always welcome in our pit area!” So it might get busy in the Nitrobear pits this season.